The Yanks cannot seem to catch a break when it comes to the weather… it was a scorching 95 degrees fahrenheit in Baltimore before kick off on Saturday, but the heat did not matter as “The Klinsmann Experiment” finally produced a tasteful result. If you missed the match, here are the full highlights provided by Fox Sports. Finally, finally, finally I have the opportunity to praise my squad. But I will praise my squad the same way I would praise them for netting 6 goals in a training exercise against the reserve squad: they did exactly what was expected of them. We did not just defeat Argentina in the semifinals of the World Cup. 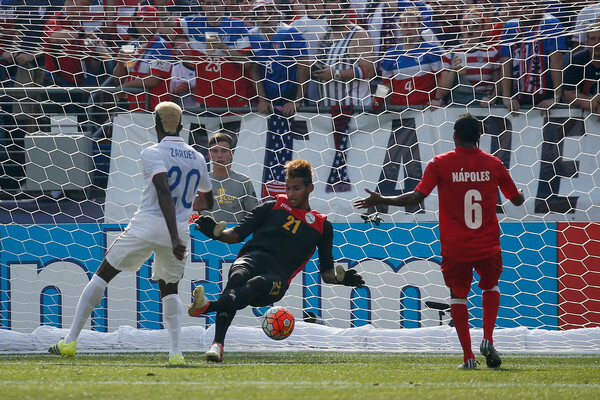 Gyasi Zardes putting the ball through the keepers legs after a Fabian Johnson cross. Dempsey scores from a Timmy Chandler assist to start the scoring in the 3rd minute. Jamaica in the semifinals. The second goal was a replica of the first but from the left side. Fabian Johnson served in a splendid ball behind a terribly flat Cuban back line to a streaking Gyasi Zardes. These two goals set the tone for the game and virtually crushed any hope the Cubans may have had. The United States looks best going forward when the fullbacks push up the field and force the defense into awkward situations. I still think Yedlin should shift back to his natural position (which Klinsmann clearly disagrees with…) and fill Chandler’s position at right back, but regardless, ensuring the fullbacks push up the field, serve balls in, and make dangerous runs will be extremely important if the U.S. wants to continue winning matches. When this trio combines they really can create some brilliant opportunities. Dempsey checking shallow and flicking the ball short to Bradley.. then Bradley lofting the ball over the top, through the gaps for a streaking Jóhannsson. Jóhannsson after scoring a beautiful chip goal over the keepers head. These are three of our most skilled players on the pitch, and if they continue playing together, and their movements become synchronized, they could become a potent scoring threat. Watch out for them to continue combining in the semifinals and finals. Clint is playing beautiful soccer right now. He is playing like a true veteran. He is confident on the ball, creative with his runs, and crafty with his touches. Even at 32, after posting his first international hat trick, Dempsey is playing great soccer right now and we need to continue getting the ball at his feet so he can either drop it off for Bradley or turn and run at the defense. Overall, I’m happy, but this is no time to be complacent. Enjoy the victory, sure. 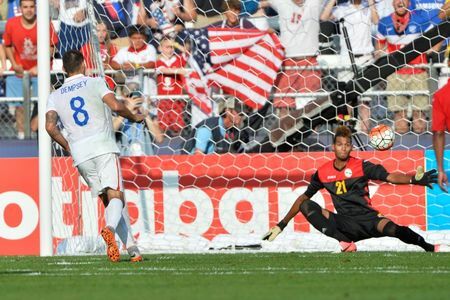 Dempsey calmly chips the ball past the Cuban keeper to score his second goal of the match. 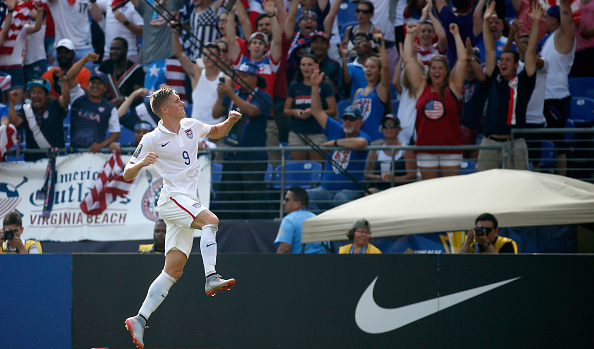 Celebrate Dempsey’s hat trick, sure. But let’s not forget the real goals, competing in the 2017 Confederations Cup and advancing beyond the quarterfinals in the 2018 World Cup. Do you think Germany would celebrate a 6-0 win over Latvia? Absolutely not. 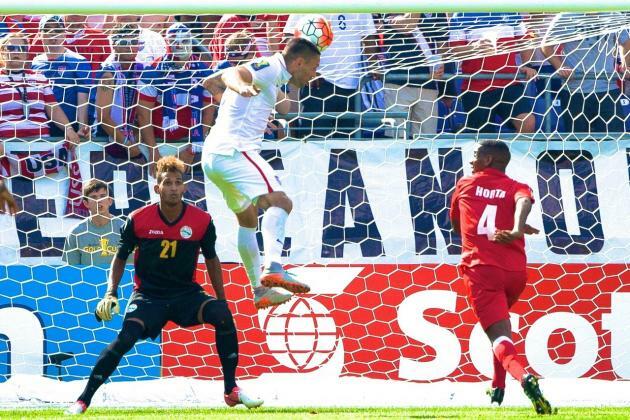 A dominating performance over an inferior opponent is something we should expect from the best team in CONCACAF. Sorry for not bringing out the fireworks, but I’ve got bigger plans for this squad.